If you are bootstrapping or starting a small business on a limited budget, you have probably spent some time trying to figure out where you can cut business costs and do more on your own to stretch the funds you have available. One area you may consider doing it yourself instead of hiring it out is accounting. If you have an accounting background and a solid understanding of business finances, this may be a good place to cut costs. However, if you lack experience in managing the books of a business and expect to learn as you go, you should think twice. Managing your own accounting system incorrectly can hurt your business not only now, but also in the long-term. Below is a rundown of the things an accountant can do for a small business owner. Review the list carefully, especially if you're still unsure why an accountant may be a good resource to add to your small business team. Determining the best business structure (i.e., sole proprietorship, LLC, corporation, partnership) for your situation. Assisting with the financial analysis in your business plan. Providing advice and assistance on opening a business bank account. Making sure your accounting procedures comply with government regulations and requirements. Providing advice on how to track expenses during your daily business activities. Explaining the importance of keeping personal and business expenses separate. Helping ensure that your independent contractors are classified as such (and not employees) by the IRS. Explaining your financial statements so you can understand the ins and outs of your business. Overseeing company payroll and payment processes. Providing advice on estimated tax payments you should make during the year. Determining when, and to whom, you should send W2 and 1099 forms. Closing out your books and create financial reports at the end of the year. Compiling and submitting your taxes, financial reports, and all necessary paperwork to the IRS. Help you determine areas for growth by providing insight on cash flow patterns, inventory management, pricing, and business financing. Provide advice on property and equipment leasing and purchase. Work with you to create a business budget that will support your business goals. Provide advice and resources to assist you with the sale of your business. These are just some of the ways accountants can work with small business owners. You can opt to hire an accountant for all of your financial activity, or you can choose a combined approach that limits his or her hands-on activity, reducing the expense. For example, you can hire an accountant during the start-up phase and have him/her handle your annual reporting, but work with a bookkeeper to manage your books on a regular basis. A bookkeeper and an accountant can form a very efficient accounting team for your small business. 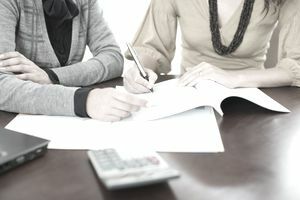 The most important thing you can do when it comes to your business finances is to recognize when you need to enlist the help of a professional, and then find an accountant who will help maintain the fiscal health of your business.